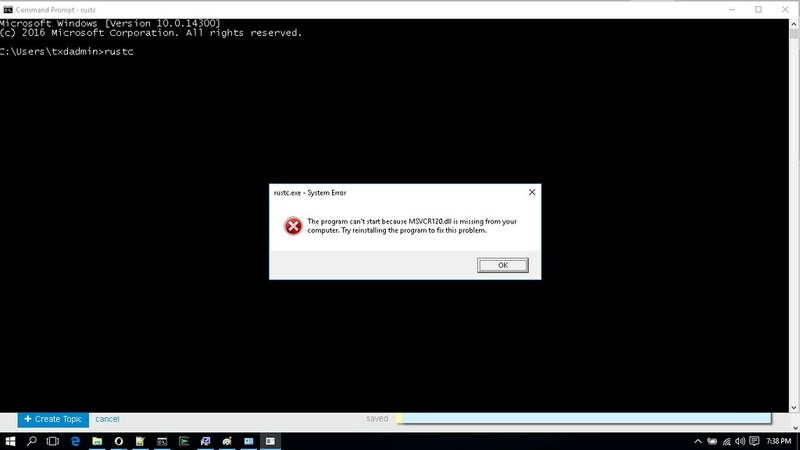 The program can’t start because MSVCR120.DLL is missing from your computer. As a result, i added the above directory to the PATH environment variable. My intent to first work with Rust binary on Windows 2016 TP5 with MSVC ABI and write Rust programs. Subsequently, i’d like to daily builds on the machine. Any pointers as to how this issue can be addressed ? MSVC builds of Rust additionally require the Microsoft Visual C++ build tools for Visual Studio 2013 or later. The easiest way to acquire the build tools is by installing Microsoft Visual C++ Build Tools 2015 which provides just the Visual C++ build tools. Alternately, you can install Visual Studio 2015 or Visual Studio 2013 and during install select the “C++ tools”. No additional software installation is necessary for basic use of the GNU build. @matklad thanks for your reply. VC++ 2015 build tools are installed. Download the Visual C++Build Tools (including the C++ compiler MSVC, msbuild, ATL, MFC) for your build lab, continuous integration or development environment. This is a 64-bit version of Rust. As such it depends on 64-bit DLLs. SysWOW64 is DLLs for 32-bit processes. Adding this to your PATH is a really bad idea due to the way Windows on Windows works, and also doesn’t help because 64-bit Rust needs 64-bit DLLs. @retep998 Thanks so much for the link. It really helped. 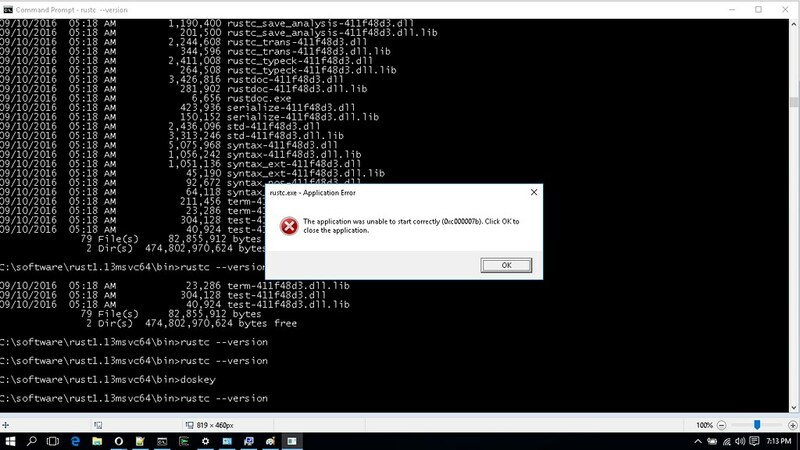 i was under the impression that since i have installed VC++ 2015 64-bit redistributable, MSVCR120.DLL should be there as well. Will it be correct to infer that a higher version redistributable will not be accumulative of the libraries from an earlier version redistributable ? 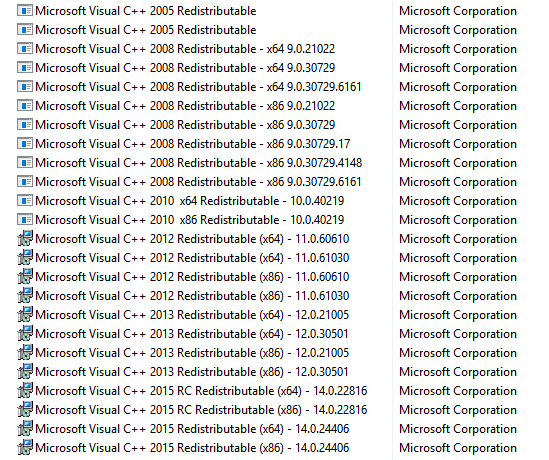 A given version of the VC++ redistributable is only for that version, not newer nor older versions. This is why your computer will usually end up with a massive pile of redistributables installed.